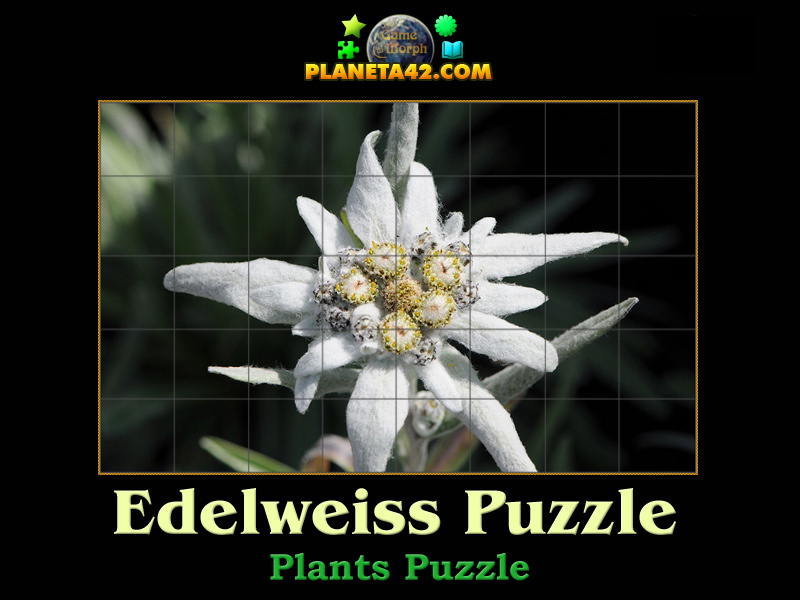 40 squares puzzle with a edelweiss plant. 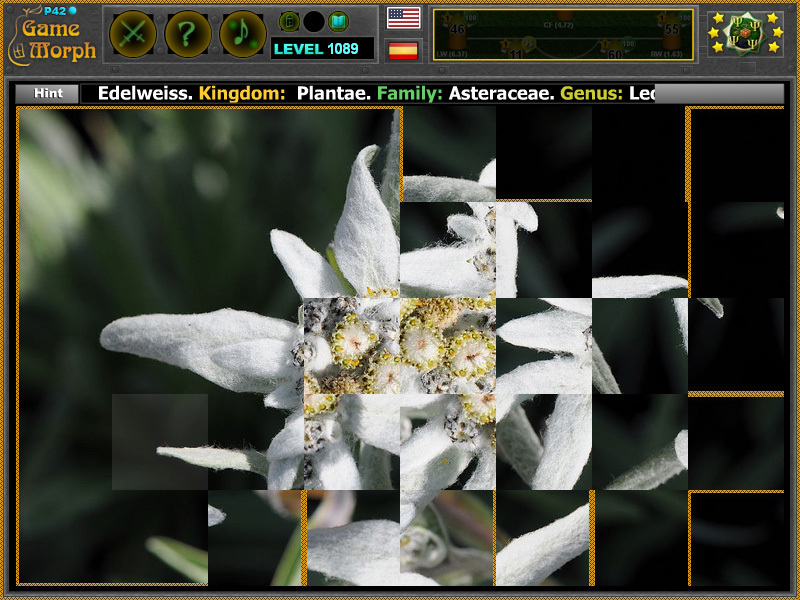 "Edelweiss Puzzle" is a free online mosaic puzzle with a picture of Leontopodium nivale, commonly called edelweiss, a well-known mountain flower, belonging to the Asteraceae family. The puzzle represent 5 rows and eight columns of sqares and every square can be rotated to four sides to fit the whole edelweiss picture. The game will run in most web browsers on average desktop computers, laptops and tablets. This game is part of the Plant Puzzles collection. Click on a square to rotate it, until it fits its position in the puzzle picture of the Edelweiss. The plant prefers rocky limestone places at about 1,800–3,000 metres (5,900–9,800 ft) altitude. It is non-toxic, and has been used in traditional medicine or folk medicine as a remedy against abdominal and respiratory diseases. The dense hair appears to be an adaptation to high altitudes, protecting the plant from cold, aridity, and ultraviolet radiation. Labels: Nature Puzzles , Plant Puzzles , Puzzle Games , Flash Games , Plant Games , Free Online Games.